The Greenleaf Company Store - Photos include a zoom tool so that you can see detail like never before. 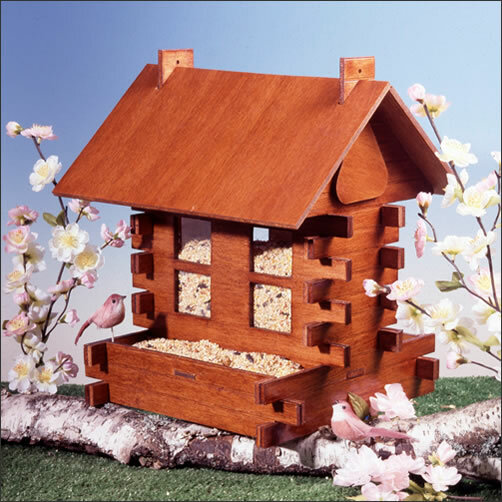 Visit the Lodgepole Birdfeeder Kit page to see for yourself! If you have pictures of your Lodgepole Birdfeeder that you would like to have considered for viewing from this page, please feel free to post them in the Owners Gallery at the Greenleaf Miniature Community. It's free and it's fun! For more information, please visit our miniature forum for details on how to join! The Greenleaf Company Store - Buy factory direct from Greenleaf Dollhouses Company Store! Visit the Lodgepole Birdfeeder Kit at our online store for even more info and pictures as well as purchasing information!